Best value for home cinema. Used with Yamaha AVR. Could have lower basses, but prefect with mu Subwoofer. I had experience with many speakers from different brand names. Monitor 50 from Polk Audio are pretty good for movies, I'm sure they designed for movies, powerful enough with good bass, decent middle range and acceptable highs. If you need more bass you can just add subwoofer. But for music-I wouldn't recommend these speakers. Of course,depends what kind of music you are listening. If you listening only electronic music speakers would be good for you.But for accoustic music,voices,classical music I wouldn't recommend these speakers.The problem is coloration in highs and middles, voices unnatural. It seems like tweeter give this coloration, middle range-probably because of the crossover,-probably because of the quality of woofer. 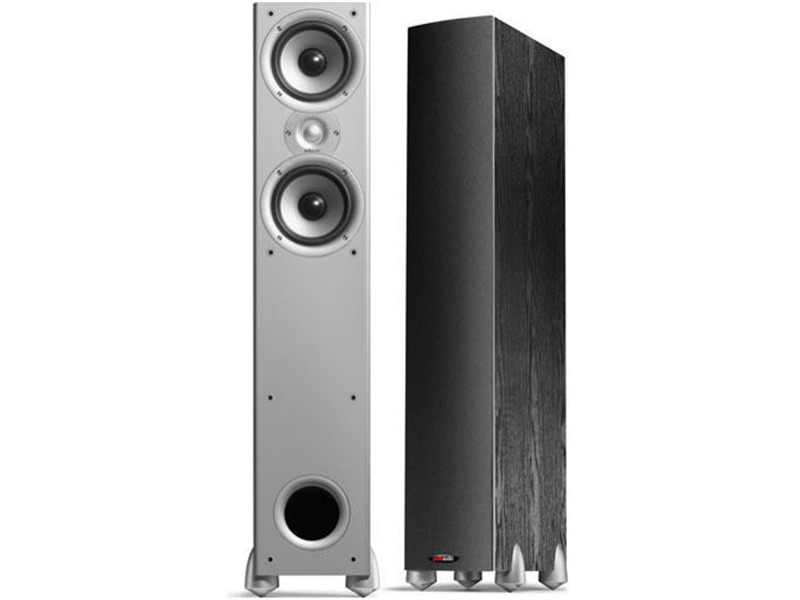 But overall rating for these speakers could be pretty high,for that price you couldn't get top quality tower speaker,that is budget speakers. It flattens most instruments, takes away character, the speakers are good for voice, not good at all for piano or acoustic guitars. There are no bass tones, medium tones are not good enough. I wouldn't buy this speaker, I don't recommend it. I did a mistake to get it. Great highs and warm mids. Great value for the price paid. You do need a subwoofer. I had purchased these speakers to replace my front Monitor 30s'. I am very, very pleased with these speakers. The mid's and highs are crips and warm. I can't wait for them to be broken in some more! Mids and Highs. Great at this price. Excellent Highs and Midrange acceptable bass. Using these in my home theater with a Polk PSW-250. Sounds great in Stereo and with Polk CS1 and 4 Polk RM1300 satilites for 7.1 Sony components round out my system. Recommended at this price.